Bottom line: the Titan V is indeed a mining powerhouse, but the prohibitive price does not scale well with the price/perfomance factor. Nvidia released the Titan V as an AI compute card, but it can easily pass as the fastest gaming GPU released to date. As with any GPUs released in the past few years, there’s always that crypto mining potential that needs to be tested. Sure, for US$3,000, crypto enthusiasts might as well buy an ASIC or a GPU rack, however, the BitsBeTripping staff managed to get their hands on the “behemoth” and tested it on a Threadripper 1950X system with 64 GB DDR4 RAM to see how it scales against the current price/performance crypto mining champions. The most profitable GPU-minable coins at the moment are Ethereum and ZCash. Compared to the GTX 1060 and the Radeon RX 580, the Titan V is almost 4 times faster, but that certainly does not scale well with the price. What impresses, nevertheless, is the low TDP required even in overclocked modes, as the Titan V manages to operate at around 215 W for both Ethereum and ZCash. 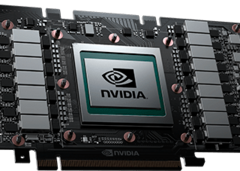 The mining performance could certainly be improved with a special driver that can take advantage of the Tensor cores, but Nvidia will probably not focus on this aspect any time soon. The Titan V is indeed fast and does not disappoint as far as hashing speeds are concerned, but the price/performance factor is very important for small-time miners these days, and the Volta-based GPU clearly falls short in this case.